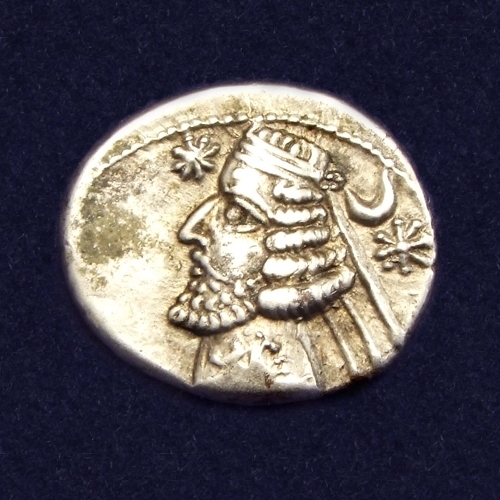 Silver drachm of Orodes II, king of the Parthian Empire from 57 BC to 37 BC. Obverse: Diademed and cuirassed bust of Orodes II with beard and royal wart on forehead. Star before face, crescent and star behind head; horse head end to torque. 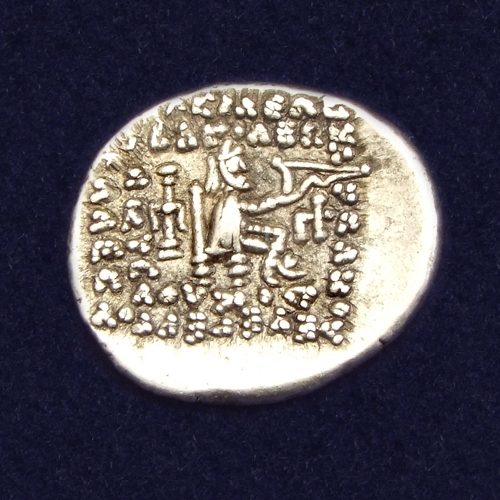 Reverse: Archer seated right on throne, holding bow, monogram beneath. The dot on his forehead is the so-called "royal wart" which was regarded as a physical token of true Parthian nobility.